The project in Grangemouth was launched by Edinburgh-based Brockwell Energy, which funded and led the development over the past three years, and the Green Investment Group (GIG), also rooted in the Scottish capital, and is described as having "unparalleled environmental credentials". Earls Gate Energy Centre (EGEC) is the first investment in Scotland for GIG (formerly the Green Investment Bank) since it was privatised by Macquarie last year. Brockwell will retain 50 per cent of EGEC while GIG together with its co-investor Covanta Energy will acquire the other 50% of EGEC though a jointly owned vehicle. The move will "future-proof full time local jobs", said Alex Lambie, Brockwell Energy's chief executive. The EGEC facility will prevent 216,000 tonnes of household and commercial waste going to landfill each year - about a fifth of the country's annual total - and provide low-carbon heat and power to four local industries. The remaining electricity will be exported to the grid. Mr Lambie said: "The success of EGEC reflects the skills and dedication of the Brockwell and GIG teams and delivers a new world-class renewable CHP (combined heat and power) facility to support the site. "This is the first of a number of EfW projects that we will build over the next three years. "As one of the most efficient plants in the UK, EGEC has unparalleled environmental credentials. "The use of heat and power on-site will future-proof full-time local jobs." He added: "It will also create roles during construction, including a range of professional, skilled and entry-level positions and apprenticeships." Brockwell also aims to deliver community benefits focused on employment and training, support for local businesses and education programmes, it said. Edward Northam, head of GIG Europe, above, said that 2017 saw Scotland recycle more waste than it sent to landfill. He said that is "a fantastic achievement, but there remains a lack of capacity to unlock the value to businesses and households from converting residual waste into low-carbon energy". He added: "The Earls Gate facility will play a major role in changing that. "GIG is very proud of its Scottish roots and base in Edinburgh. "Earls Gate is our nineteenth investment in Scotland and we’re delighted it will further support the decarbonisation of the Scottish economy." Neil Partlett, chief executive of CalaChem, the chemical manufacturer and site utility service provider, said: "CalaChem has been a part of Grangemouth industry for almost 100 years. "In addition to improved environmental performance and operational reliability, EGEC will enhance CalaChem’s international competitiveness by controlling overall energy costs." The heat and power plant will use mixed household, commercial and industrial waste from the Central Belt that would otherwise enter landfills every year. Matthew Mulcahy, of Covanta, said: "Today marks a significant milestone in our valued partnership with GIG, as Earls Gate represents the first of our four advanced UK development projects to reach financial close. "The project is well-structured with long-term contracts on both waste and energy and will provide critical sustainable waste disposal capacity in Scotland. "It will also greatly benefit the local economy by supplying neighbouring industry with reliable, low-carbon heat and power." GIG was launched by the UK Government as GIB in 2012 to boost the green economy and sold last year to Australian bank Macquarie for a reported £2 billion. EGEC, as GIG’s nineteenth Scottish project, follows a range of investments supporting sustainable economic growth in Scotland. It says that by preventing volumes of waste equivalent to around 20% of Scotland’s total annual landfilled household waste from going to landfill, the facility will make a significant contribution to the local authority’s ability to achieve the goals of Scotland’s biodegradable municipal waste landfill ban, which is due to come into effect on January 2021. Brockwell moved to "myth-bust" that "Scotland has too many incinerators", adding: "Although there are a number of EfW plants consented in Scotland, very few of these are expected to be built." Permission to replace a gas-fired plant at Earls Gate was granted in January 2017. As climate discussions are underway among global leaders at COP24, the annual United Nations Framework Convention on Climate Change (UNFCCC) conference, a new report released Tuesday showcases the feasibility of a European energy transition to 100% renewable sources. The new scientific study shows that the transition to 100% renewable energy will be economically competitive with today’s conventional fossil fuel and nuclear energy system, and lead greenhouse gas emissions to zero before 2050, infromed Energy Watch Group. The study’s financial case for an energy transition becomes even stronger when taking into account significant projected job growth and the indirect economic benefits for health, security, and the environment, that were not factored into the study. Undertaken by LUT University and Energy Watch Group, the first-of-its-kind scientific modeling study has simulated a full energy transition in Europe across the power, heat, transport, and desalination sectors by 2050. The study’s publication came after approximately four and a half years of data collection, and technical and financial modeling under the research and analysis of 14 scientists. The transition will require mass electrification across all energy sectors. Total power generation will exceed four to five times that of 2015, with electricity constituting for more than 85% of primary energy demand in 2050. Simultaneously, fossil fuels and nuclear are phased out completely across all sectors. Electricity generation in the 100% renewable energy system will consist of the following mix of power sources: solar PV (62%), wind (32%), hydropower (4%), bioenergy (2%) and geothermal energy (<1%). Wind and solar make up 94% of total electricity supply by 2050, and approximately 85% of the renewable energy supply will come from decentralized local and regional generation. 100% renewable energy is not more expensive: The levelised cost of energy for a fully sustainable energy system in Europe remains stable, ranging from 50-60 €/MWh through the transition. Europe’s annual greenhouse gas emissions decline steadily through the transition, from approximately 4200 MtCO2 eq. in 2015 to zero by 2050 across all sectors. A 100% renewable power system will employ 3 to 3.5 mln people. The approximate 800,000 jobs in the European coal industry of 2015 will be zeroed out by 2050, and will be overcompensated by more than 1.5-mln new jobs in the renewable energy sector. The study concludes with policy recommendations to promote a swift uptake of renewable energy and zero-emission technology adoption. Primary measures promoted in the report include support of sector coupling, private investments, tax benefits, legal privileges, with a simultaneous phase out of coal and fossil fuel subsides. By implementing strong political frameworks, the report shows that a transition to 100% renewable energy can be realised even earlier than 2050. Simulation of the energy transition in Europe is part of the study “Global Energy System based on 100% Renewable Energy”, co-funded by the German Federal Environmental Foundation (DBU) and the Stiftung Mercator. State-of-the-art modeling, developed by LUT University, computes a cost-optimal mix of technologies based on locally available renewable energy sources for the world structured in 145 regions and determines a most cost-effective energy transition pathway for energy supply on an hourly resolution for an entire reference year. The global energy transition scenario is carried out in 5-year time periods from 2015 until 2050. The results are aggregated into nine major regions of the world: Europe, Eurasia, MENA, Sub-Saharan Africa, SAARC, Northeast Asia, Southeast Asia, North America and South America. LUT University has pioneered as a science university combining technology and business since 1969. It has been recognised in international rankings as one of the world’s top universities.Clean energy and water, a circular economy and sustainable business are pivotal questions for humankind. LUT University applies its expertise in technology and business to seek solutions to these questions. LUT University strongly promotes entrepreneurship stemming from its scientific research. An example of this is the business accelerator Green Campus Open, which supports new spin-off companies that are based on LUT’s research. LUT’s international science community consists of 6500 students and experts. GE Renewable Energy announced on Wednesday that it has signed a £9 million ($11 million) four-year research partnership with the UK’s Offshore Renewable Energy (ORE) Catapult intended to minimize the time people need to spend offshore, which will both enhance safety and reduce operating costs for the offshore wind industry. The UK’s Offshore Renewable Energy (ORE) Catapult program bills itself as the country’s leading technology innovation and research center for offshore renewable energy. 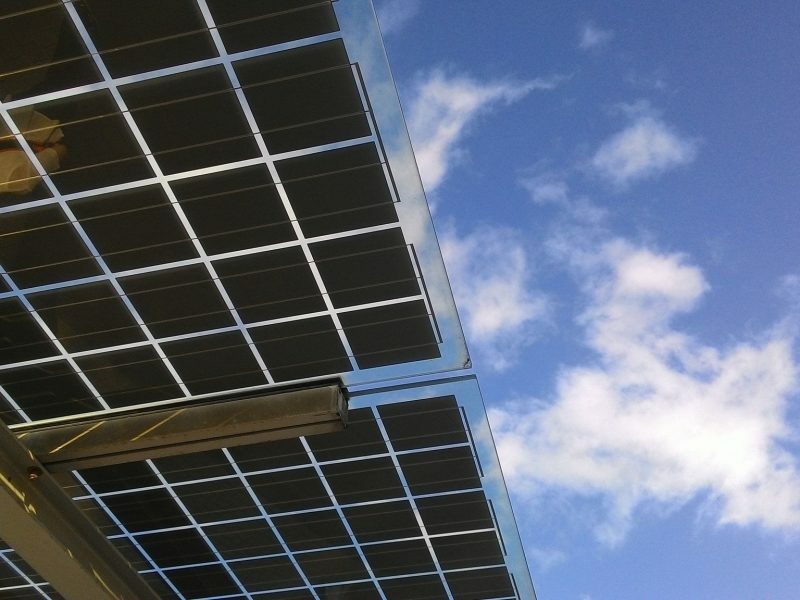 Founded in 2013, ORE Catapult works with OEMs and other large industrials to improve existing infrastructure and develop the next generation of renewable energy technology. 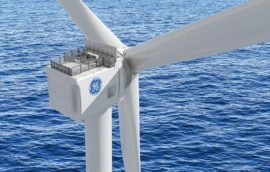 GE Renewable Energy has been working in partnership with the Catapult since the beginning of 2018, when GE signed a five-year research and development agreement with the Catapult to test GE’s mammoth 12 megawatt (MW) Haliade-X wind turbine at the Catapult’s Blyth test facility. This latest research partnership between the two organizations is intended to launch focused technology innovation challenges to the UK Small to Medium Enterprises and academic community, in fields such as robotics, blade and tower inspections, and repair processes. “This further strengthening of ORE Catapult’s partnership with GE Renewable Energy will see significant investment in nationally important R&D, growing not only our expertise but providing opportunities for the UK supply chain to capture domestic and international market share in an offshore wind market expected to be worth £30 ($39) billion per year by 2030,” said ORE Catapult Chief Executive, Andrew Jamieson. 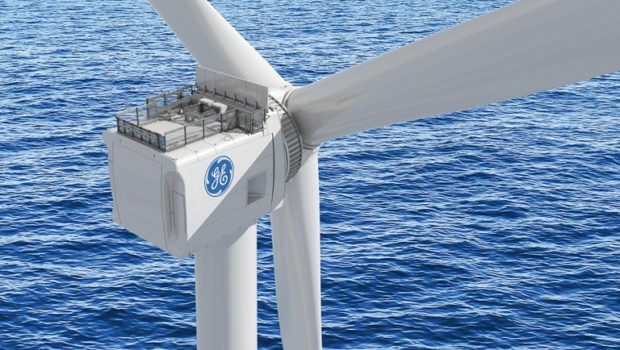 “By eliminating unplanned offshore human intervention through increasing productivity with digital and robotic tools, in addition to our Haliade-X 12 MW performance and design features, we will contribute significantly to reducing the cost of offshore wind energy,” added John Lavelle, president & CEO of GE’s Offshore Wind business. This week we're reporting on how devolution has affected the environment in Wales, Scotland and Northern Ireland. In the complicated world of devolved responsibilities, environmental protection was one of the clearest areas in which law and decision-making was given from Westminster to the devolved parliaments and assemblies. In October, 98% of Scotland's electricity was produced by wind turbines, with the devolved government on track to produce all of its electricity from renewable sources by 2020. One area of Scotland which is at the forefront of renewable energy is Orkney, where they generate more electricity from wind turbines than they can use, and also have the world's leading testing facility for emerging wave and tidal power systems. 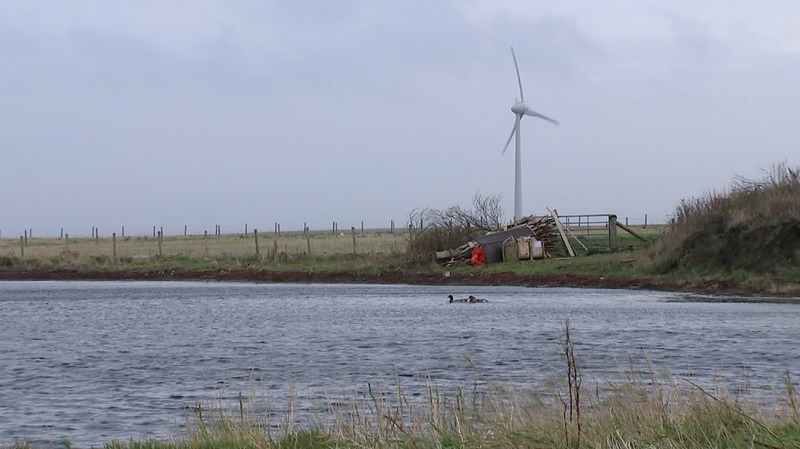 While the owners of wind turbines can sell excess electricity back to the National Grid, Orkney with its 750 domestic wind turbines and several larger ones owned by community energy cooperatives, has come up with a different idea: using the electricity to split water (two resources they have plenty of) to produce hydrogen and oxygen with the help of a hydrogen electrolyser. As Neil Kermode of the European Marine Energy Centre explains, the uses of hydrogen are many: "Once you've got hydrogen you can either turn it back to electricity somewhere else, or there's the ability to store it and transfer the power, or you can use it for heating and burn it, or you can put it in cars for hydrogen fuel cell cars." In Orkney, they're attempting to put their hydrogen to several of these uses. Currently they are using hydrogen to power the fuel cells on the ferries which sail between the islands, providing the vessels with all the energy for their auxiliary powers such as lighting, refrigeration and heating, but the islanders are not stopping there. Their ultimate goal is to replace the diesel ferries with a new generation powered by hydrogen charged fuel cells. So why is Scotland so much more successful than the rest of the UK in harnessing its natural resources to create green energy? The devolved Scottish government has control over environmental protection, meaning it can promote renewables and energy efficient homes. "Energy policy is not devolved," explains Andy Kerr, Executive Director, Edinburgh for Carbon Innovation. "But what is devolved is the ability to promote renewables and to promote energy efficiency, and what the Scottish Government did was take that and just expand it massively. "The Scottish Government has seen renewables and climate action as an economic opportunity rather than just an environmental thing that had to be done." While energy subsidies paid for all of us have helped Scotland's renewable revolution, experts believe it's leadership on green electricity and energy efficient homes should be a lesson to the rest of the UK as we face the challenge of a rapidly warming world. The global fight for natural resources was nearing an all-time high when the European Commission first laid out an EU strategy for raw materials, back in 2008. “A strong and unforeseen surge in demand” driven essentially by double-digit growth in China, had led to a tripling of metal prices between 2002 and 2008, the Commission said at the time. China, the world’s de facto sole supplier of rare earth metals, took advantage of its monopolistic position to impose restrictions on exports, prompting Japan to start stockpiling in fear of a supply crunch. At the European level, those concerns resulted in the establishment of a “raw materials diplomacy” to secure supplies from abroad – including legal action at the WTO when necessary – a push for resource-efficiency inside Europe, and the creation of a list of critical raw materials to monitor potential supply risks. Those fears were quickly swept away by the financial crisis, which depressed the global economy for many years. But ten years later, the fundamental economic trends that fuelled EU worries at the time are still there. If anything, those trends have intensified, driven by the continuous digitialisation of the economy and the transition to renewable energies. “It’s already happening,” said Maroš Šefčovič, the European Commission’s vice-president for the Energy Union, when asked about fears that raw materials prices could start rising again. “All the focus now in the European Commission is to reduce dependency on fossil fuels,” he told EURACTIV in an interview. “This is why we are looking at access to raw materials with increased scrutiny,” he added, saying the objective was to avoid trading dependency on imported oil and gas with dependency on imported raw materials. “I really think that, when it comes to the issue of dependency, we could end up in a situation where raw materials become the new oil,” he warned. To illustrate his point, Šefčovič likes to produce one statistic about the materials necessary to produce a 3 megawatt wind turbine. Manufacturing one of those requires 335 tonnes of steel, 4.7 tonnes of copper, 1,200 tonnes of concrete, 3 tonnes of aluminium, 2 tonnes of rare earth elements as well as zinc, he says. “For me that is really illustrative of the volume of raw materials you need for the green transition,” he told EURACTIV. 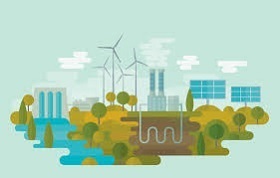 Critical raw materials “are irreplaceable in solar panels, wind turbines, electric vehicles, and energy-efficient lighting” which are essential for the energy transition, the European Commission said in its latest Report on Critical Raw Materials and the Circular Economy, published in January 2018. Everyday consumer products in the telecoms sector are also highly exposed to raw materials price fluctuations. “A smartphone might contain up to 50 different metals” all of which provide essential properties to the final product, the EU executive remarked, pointing to the importance of critical raw materials for high-tech products. Nowadays, industry people say supply risks are driven mainly by emerging demand for new products such as electric cars. “Raw materials will be essential for manufacturing the products of the future. They form the basis of modern societies, our cities, digitalisation and the European energy transition,” said Roman Stiftner Secretary-General of the European Mineral Resources Confederation (EUMICON). “Megatrends such as digitalisation and the decarbonisation of transport and production are resulting in new demand for raw materials, in terms of volume and of complexity,” EUMICON said in its raw materials charter, published earlier this year. Other megatrends identified by EUMICON include increased wealth and global population growth. Global GDP is ten times higher than 50 years ago, and the world’s population has doubled. A further 3 billion people are expected to join the middle-class between 2010 and 2030, and all of them will want cars and smartphones. Meanwhile, urbanisation, digitalisation, the low-carbon transition and the switch to electricity as the main source of energy for industry are further accelerating developments, it says. “Electricity demand is rising, while increased production of wind and solar energy requires a greater quantity of a different mix of raw materials,” EUMICON pointed out, wondering whether the world has entered “a new age for metals and minerals”. To be sure, the digital revolution that was already underway ten years ago has accelerated and branched out into new areas, creating excitement around things like robotics, smart cities, industry 4.0, electric vehicles, autonomous driving, and artificial intelligence, to name a few buzzwords. On the manufacturing side, concepts have evolved. The European Commission’s resource-efficiency agenda of 2011 has morphed into a more ambitious circular economy strategy, which places recycling at the centre of attempts to close raw material loops and keep valuable resources inside Europe. However, recycling has its limits, even under the most optimistic scenarios. 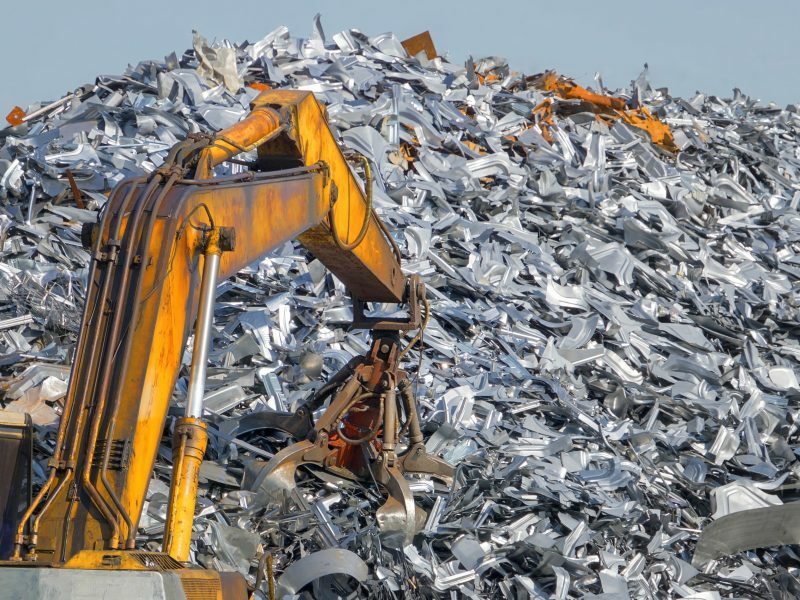 “The overall demand for raw materials is growing, and recycling alone cannot supply the market,” EUMICON said, citing aluminium as a case in point. 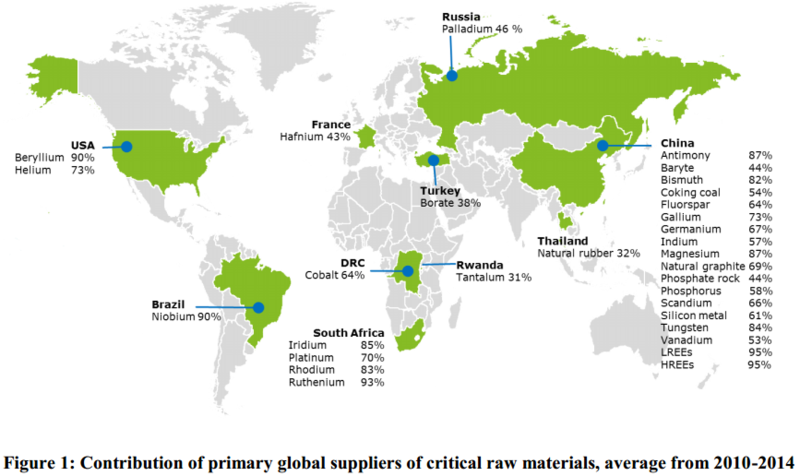 And “since recycling efforts will not be sufficient to feed the demand, supply of primary raw materials is irreplaceable,” it argues, calling for “new solutions” to establish “a future-proof raw materials policy”. This includes exploiting Europe’s own geological deposits as well as securing access to raw materials on global markets to strengthen the future resilience of European industry. But is Europe – and indeed the world – better equipped to deal with those global challenges today than it was ten years ago? From a technological point of view, maybe yes. But from a global trade perspective, definitely not. Under President Trump, the United States has taken a hostile stance against Europe and China on trade, launching attacks on all fronts, ranging from steel to cars and food, raising the spectre of a new global trade war. China itself has long pursued unilateral policies on access to raw materials, cutting deals with resource-rich African countries in return for cheap loans and infrastructure. This makes the current trade environment more volatile than it was ten years ago, under a more accommodating Obama administration and a less assertive China. “This time around, governments seem to be taking a more assertive, and in some cases, pre-emptive stance,” according to the Centre for European Policy Studies (CEPS), a think-tank. “Witness, for example, China’s disputes on rare earth elements or President Trump’s Mineral Order at the end of 2017. This new attitude may pose new challenges for EU trade policy,” CEPS wrote in a policy paper published in February. A future ‘Made in Europe’? Faced with those challenges, Europe has also taken a more assertive stance, launching WTO disputes against Chinese export restrictions on raw materials such as graphite, cobalt, copper, lead and chromium. 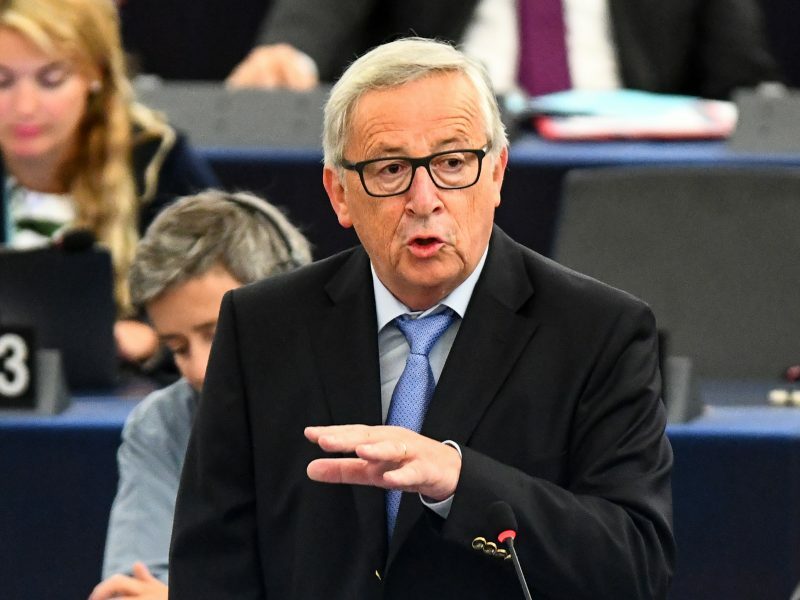 In his latest State of the Union speech, Jean-Claude Juncker proposed a new ‘Africa-Europe Alliance’ that hopes to tap “the full potential of economic integration and trade,” with an objective to leverage up to €44 billion of investments into the region by 2020. At home, the European Commission has targeted an increase in the recovery of key raw materials as part of its Circular Economy Strategy put forward in 2015, placing the emphasis on recycling and reuse with a view to “closing the loop” of product lifecycles. Supporting innovation in European recycling technologies is also part of that plan. But EUMICON says technological solutions, although necessary, won’t go far enough to meet the challenges Europe is facing. “A complete approach to sustainability requires us to consider economic, environmental and social sustainability together,” EUMICON said, stressing that “all three aspects need to be addressed with equal focus” in order to ensure a future that is “Made in Europe”. What it boils down to is the importance of strengthening raw material value chains in Europe at a time when the international trade order is being challenged. “The EU will need to develop a proper thinking how to put raw materials in the centre of its industry strategy, since we will be facing a new global race for raw materials in the future,” said Gilbert Rukschcio, managing partner at Pantarhei Advisors, a consulting firm based in Austria. “Global megatrends such as digitalisation and the energy transition will also force Europe to act on this field,” Rukschcio said. SSE plc (LON:SSE), the power firm which is looking to merge its UK retail division with Innogy's npower, said on Wednesday that it is looking to create a new company that will include its renewable energy assets in the UK and Ireland as it confirmed a big drop in first-half profit. The FTSE 100-listed firm said the new company - to be known as SSE Renewables, - will comprise around 4 gigawatts of SSE's existing renewable assets such as hydropower, onshore wind and several stakes in offshore wind projects. The group said the new entity will provide greater visibility of assets and future earnings for investors and improve its ability to raise finance for projects. The spin-off plans came as SSE reported an almost 41% slump in adjusted pre-tax profits to £246.4mln for the six months to September 30, down from £416.7mln a year earlier, as operating profits at its Wholesale business plunged by 98%, while retail profits dropped by 13%. In September, the energy company had warned that its profits would be hit as calm weather cut renewable output and a summer heatwave curbed demand. In spite of the profit slump, SSE has raised its interim dividend by 3.2% to 29.3p per share and said intends to recommend a full-year dividend of 97.5p and to deliver the five-year dividend plan it set out in May 2018. In early morning trading, investors took heart from the pay-out news, pushing SSE shares 1% higher to 1,142.50p. Commenting on its plans to merge its UK retail division with npower, SEE said: "There is now some uncertainty as to whether this transaction can be completed as originally contemplated." Earlier this month, the two companies said the tie-up would be delayed beyond the first quarter of 2019 due to market developments such as the looming implementation of a price cap by the UK energy regulator Ofgem from January 1. 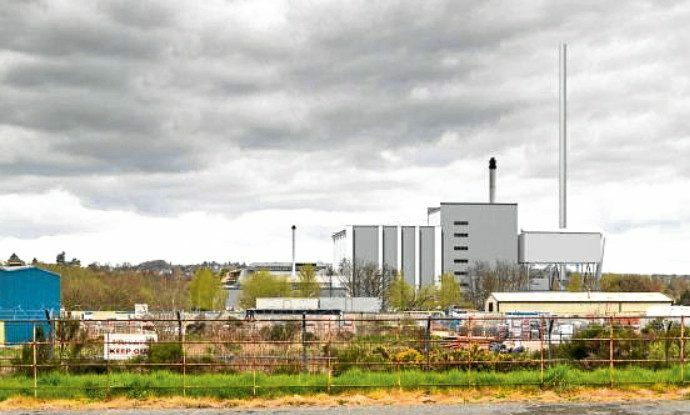 The firm behind the £100 million replacement for the Baldovie incinerator in Dundee said construction work would continue. 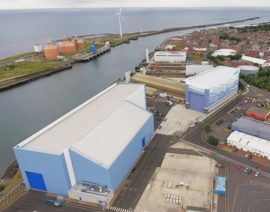 The combined heat and power facility is being built by energy company MVV in partnership with Dundee City and Angus councils and Michelin, which had planned to use heat generated by the plant. Paul Carey, managing director of MVV Environment Baldovie, would not be drawn on the economic implications on the incinerator project when the factory closes. The new incinerator will last for 25 years and burn about 110,000 tonnes of waste each year, mostly from Dundee City and Angus councils. Toshiba has today announced it is to pull out of plans for a new nuclear power plant in Cumbria and wind down its UK nuclear business NuGen, in a move that deals a major blow to the government's low carbon energy strategy. Toshiba said it had taken the decision to close down NuGen, taking a Y18.8bn (£125m) hit in the process, after failing to find a buyer for the business over the last 18 months. During that time Toshiba has been hit by writedowns and the eventual bankruptcy of its US nuclear subsidiary, leaving it unable to justify the cost of running NuGen alone. "After considering the additional costs entailed in continuing to operate NuGen, Toshiba recognises that the economically rational decision is to withdraw from the UK nuclear power plant construction project, and has resolved to take steps to wind up NuGen," it said in a statement. 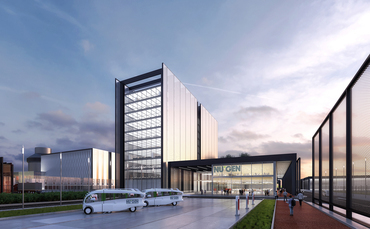 The decision deals a potentially fatal blow to plans to build a new nuclear power plant in Cumbria, given that NuGen was the primary developer lined up for the proposed Moorside project. Toshiba was trying to sell NuGen - and the construction rights for Moorside - to South Korean firm Kepco, but talks fell through. Toshiba said it was "now for the Nuclear Decommissioning Authority as the owner of the site and the government to determine its future". The move also deals a further blow to government plans to build a fleet of new large-scale nuclear power plants to replace ageing facilities and provide baseload low-carbon generation. Without new large scale new nuclear capacity, the UK is likely to need to roll out significantly more renewable energy capacity than is currently planned in order to meet its legally binding climate targets. Moorside was expected to have provided enough power to meet around seven per cent of UK demand. A report from the New Nuclear Watch Institute in September warned abandoning new nuclear would push up carbon emissions on the UK and increase the cost of electricity. But despite the uncertainty for the UK's energy future some environmental campaigners welcomed the news, seeing it as an opportunity to make a fresh case for more support for wind and solar power. "The end of the Moorside plan represents a failure of the government's nuclear gamble," said Greenpeace UK's executive director John Sauven. "Their flawed approach to making our economy low carbon has dashed the hopes of prospective workers and businesses in Cumbria that should have been centred around renewable technologies." Jonathan Marshall, an analyst at the Energy and Climate Intelligence Unit (ECIU), agreed. "The demise of plans for a new power station at Moorside should be seen as an opportunity, rather than a risk," he said. "Shifting away from expensive, complicated technology towards cheaper and easier to build renewables gives the UK the opportunity to build an electricity system that will keep bills for homes and businesses down for years to come." To date the only new nuclear plant to be approved and financed is the £20bn Hinkley Point C, which is scheduled to be operational in the mid-2020s and is supported by a government-backed price support contract. Talks are also underway between the government and developer Hitachi to push forward the the Wylfa Newydd nuclear project in Wales. The Department of Business, Energy and Industrial Strategy (BEIS) insisted its broader strategy was not threatened by Toshiba's "entirely commercial" decision to exit the UK nuclear sector. "We understand that Toshiba have faced a difficult decision in ending their involvement in new nuclear projects outside of Japan in light of their well-known financial challenges," the department said in a statement. "All proposed new nuclear projects in the UK are led by private sector developers and while the government has engaged regularly with the companies involved, this is entirely a commercial decision for Toshiba." However, Tom Greatrex, chief executive of the Nuclear Industry Association, urged the government to now explore how the plans for the Moorside site could be revived. "Toshiba's announcement today to wind-up NuGen - the nuclear power plant construction project in Cumbria - is sad news for all those involved in the project and for the nuclear sector," he said. "The Moorside site in Cumbria remains a site designated by government for nuclear new build and has huge local support. It is therefore vital government facilitates the build of new nuclear on the site for the sake of the energy security of the UK and for the local economy in Cumbria. With all but one of the UK's nuclear power plant due to come offline before 2030, there's an urgent need for new nuclear to be built quickly, and the Moorside site has a key role to play in this." Just weeks ago, we showed you a colorful visualization that breaks down the $80 trillion global economy. Today’s animation comes to us from Jaime Albella and it charts how GDP has changed over the last 57 years for the world’s 10 largest economies. Julia Hildermeier is EU associate at the Regulatory Assistance Project (RAP), where she does Research and policy analysis on e-mobility and decarbonising the power sector. Over a century ago, electric vehicles (EVs) were the best-selling cars on the market. In 1900, 28% of cars on the road in the US were electric. If the competing combustion engine technology had not taken over, today’s policymakers would likely face a much smaller challenge in cutting greenhouse gas emissions and air pollution in the transport sector. Cars alone account for 12% of the EU’s overall greenhouse gas emissions. And road transportation emissions, unlike any other sector in Europe, are still increasing. What’s more, Europe’s clean energy transition is not progressing as quickly as it should, and the Intergovernmental Panel on Climate Change (IPCC) report published in October served as a grave reminder of the urgency of reducing carbon across sectors. Bringing EVs back on today’s roads will not only help to decarbonise transport, but the energy sector, too, with wider benefits for society. 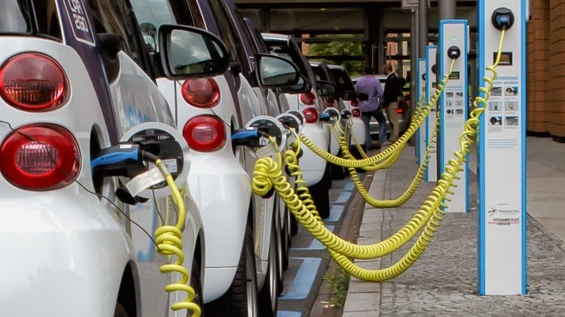 By charging even an increasing number of EVs when the costs for producing and delivering electricity are low, EVs can help to smooth the load curve, contain the overall grid costs, and make better use of existing assets, thereby bring down the costs for all electricity consumers, not just EV drivers. One way to drive this change is through a strong sales benchmark. The European institutions are currently debating the introduction of a zero- and low-emission vehicles sales incentive, as part of the future CO2 targets for automakers. This offers an important opportunity to clean up vehicle emissions EU-wide. Member states favour a voluntary sales “benchmark” in 2025 and 2030 that would offer CO2 credits for carmakers whose sales exceed the target. More ambitious is the European Parliament’s suggestion that, along with this bonus, a “malus” should apply that increases carmakers’ carbon reduction obligation if they fail to meet their sales goal. This would turn the voluntary benchmark into a de facto mandatory target and become the key driver for the rapid uptake of EVs. Often absent from this discussion, however, are the far-reaching energy policy benefits that would stem from an EV sales benchmark, in particular a mandatory one. More EVs on the road by 2025 will reduce costs for consumers, modernise the power system, provide investment security across several sectors, and promote renewable energy. Simply put, the more certainty this regulation can provide regarding the expected number of EVs in use in the next decade, the better stakeholders can plan to reap their benefits. Needless to say, these benefits are much greater if the regulation favours pure electric vehicles over plug-in hybrids, and applies across all European auto markets equally. More certainty about the timing of increasing market shares of EVs would allow the electricity industry to consider the grid potential of EVs in energy resource planning. In turn, a reliable number of EVs also provides investment security for utilities and network operators, carmakers and suppliers, as well as charge point operators and other innovative market players. This chain of effects supports the energy transition envisioned in the Clean Energy for all Europeans package. Europe now has the opportunity to accelerate the energy and the transport transitions—or to fall behind in both. While we repeatedly hear attempts to spread scepticism about the grid’s ability to integrate EVs, evidence suggests that more EVs does not automatically mean costly, new infrastructure. Europe’s electricity industry found that even if all of today’s vehicles were electric, the investment needed for new capacity would be very modest. EV integration can be managed through more efficient use of existing systems. Based on case studies from Germany and France, RAP research found that today’s electricity distribution networks are significantly underutilised. EVs, as flexible loads, could leverage this unused capacity. In other words, existing infrastructure can largely, if not entirely, accommodate the take-up of EVs, while benefiting all consumers by making better use of it. A growing number of utilities support the integration of EVs and offer EV-friendly tariffs such as time-of-use pricing to meet owners’ needs and incentivise smart charging. In general, evidence suggests that consumers react to variable pricing with flexibility, such as charging their cars at off-peak hours. For example, a Minnesota utility in the US—where the energy sector has developed many time-of-use pricing schemes to support EV-uptake—finds that 90 to 95% of customers switch significant amounts of their consumption to off-peak hours, when the off-peak price is five times lower than the on-peak price. Some network companies, for example in Germany, offer free grid connections and smart technology, such as meters or wall boxes, to EV owners who help optimise charging by plugging in the car when not in use and automatically charging when electricity is cheapest. Analyses from the US and EU countries such as the UK and France suggest that controlled charging significantly reduces EVs’ contribution to peak load, even assuming a high penetration of EVs. While we don’t know whether the next best-selling electric vehicle will even be a private passenger car (in fact, it’s not likely to be), we do know how to ensure that it can be charged beneficially for the environment, the grid, and all consumers. 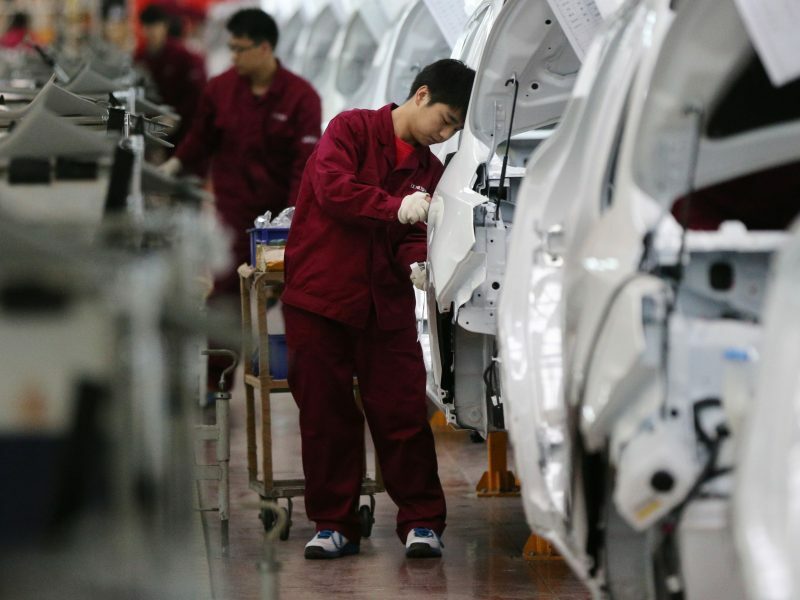 The world’s leading EV market, China, has placed a competitive bet on EVs, helping the country to cut air pollution amidst growing mobility demand while securing growth for its battery and electric industry. California, to which the US owes its global second place in terms of sales, has promoted transport electrification at the same time as electricity market reforms. This big-picture approach demonstrates how the state was able to accommodate additional EVs as flexible loads onto the grid, creating a win-win situation for both transport and energy sector decarbonisation, each making the other less expensive and easier to achieve. If Europe seeks to defend its leadership as a renewable economy and reap the benefits enumerated above, establishing strong policy incentives to make EVs once again the best-selling vehicle choice is low-hanging fruit. Just as important, it would help policymakers put road transport on the more sustainable track it deviated from over 100 years ago—and help achieve the EU’s low-carbon future.